Hello Gorgeous: Black Is the New Black. Oh my god, why can't I wave a magic wand and have one of those kitchens???! 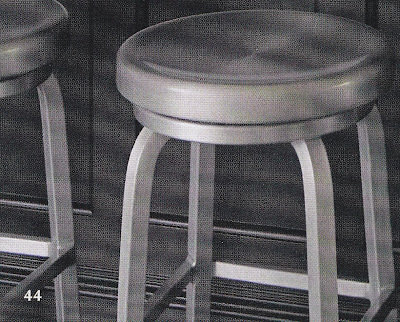 I like white kitchens, too, but they often feel sterile. 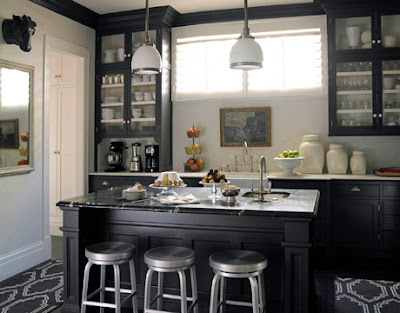 The black really anchors the space, AND they look like kitchens people actually cook in. What a terrific kitchen. We've been looking very casually for a house. Something to gut and make our own. This makes me want to do it even more. 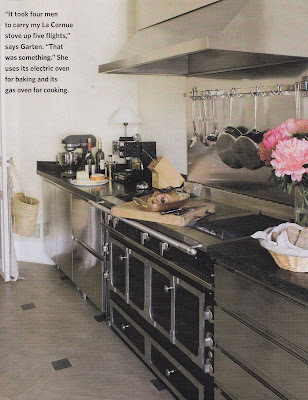 I lurve Ina Garten so so much and that stove looks like the culinary equivalent of a Rolls Royce Silver Ghost. David - This is the second time you've mentioned looking. I don't think I realized you were in an apt. It's a great time to buy. Bid very, very low. Raina - Ina's my woman. And, oh, yes, that is one fine stove. Her apartment is UPstairs. Can you imagine? It took 5 guys to get that thing up to her place. What a wondeful post! 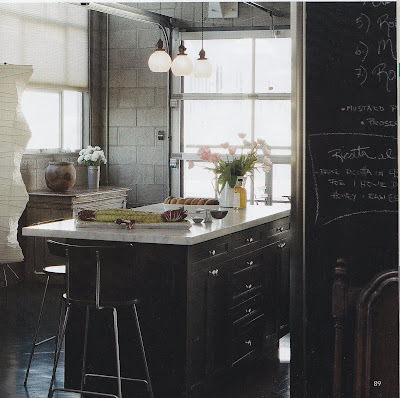 I absolutely love black kitchens and you compiled a great selection of photos! Thanks so much for stopping by Willow Decor. I will definitely be back. I really like this post, and I especially like it because you used one of my favorite words - ubiquitous. It is a great word when it comes to interior design, I think. I have a great kitchen from a layout perspective, but I do have a fully functional but very ugly shiny black sub-zero fridge. The person who built my house in the late 80s put it in. It works great, so I can't justify getting rid of it! 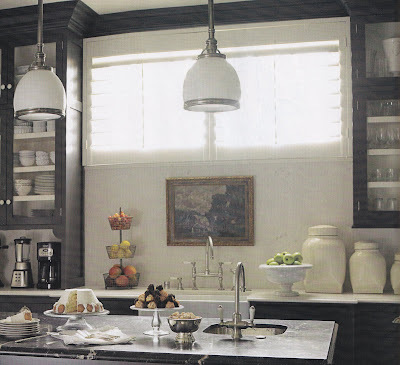 I still love white kitchens the best...what one person sees as sterile, I see as fresh and clean. That is the feel I like to have in the kitchen (and the bathroom too).